Look at the components on the following information sheets. 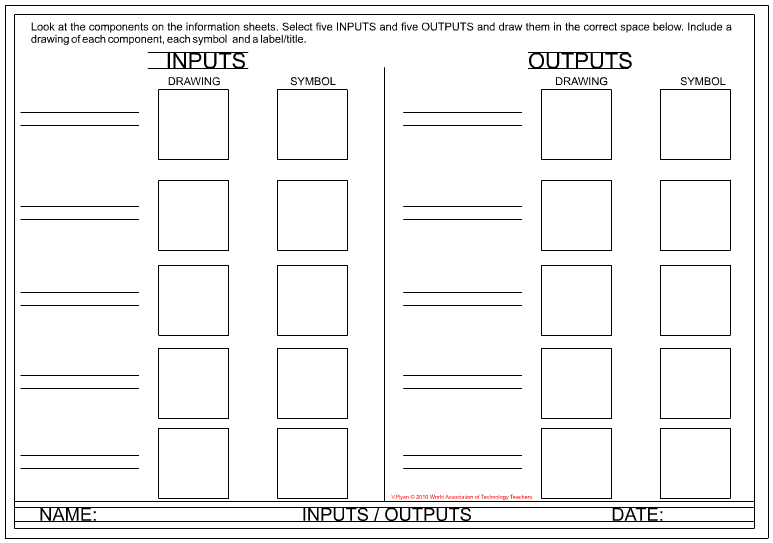 Select five INPUTS and five OUTPUTS and draw them in the correct space on the template below. 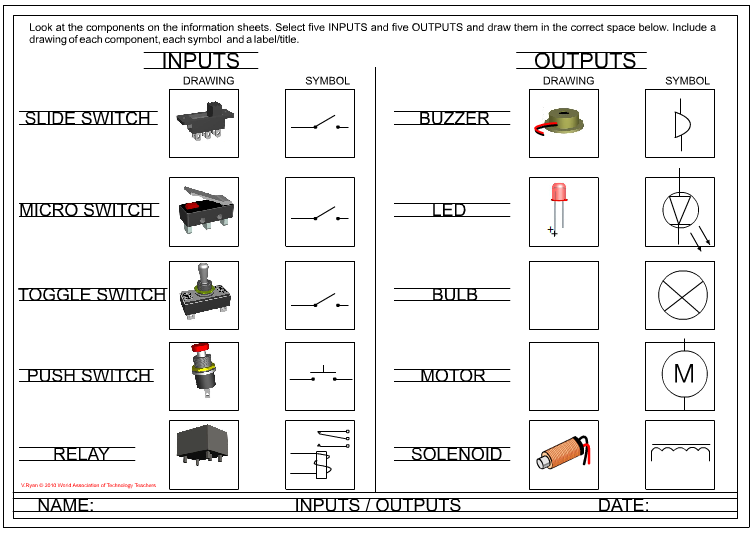 Include a drawing of each component, each symbol and a label/title.